He did say he'd come back, didn't he? 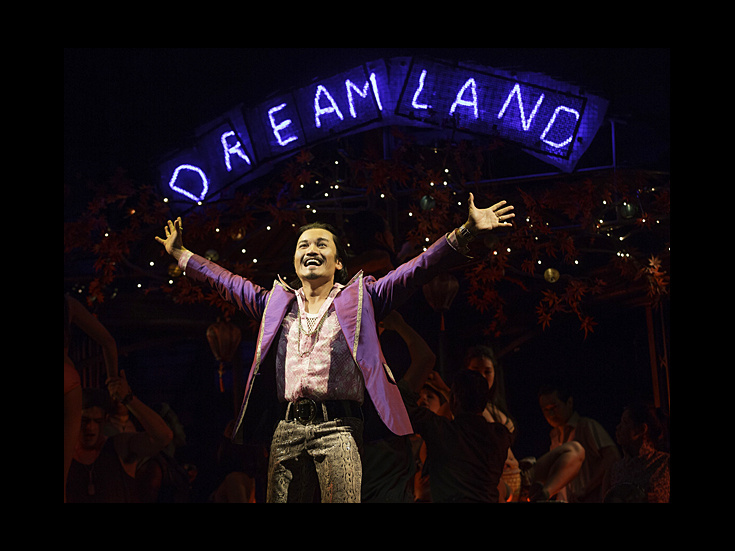 The previously announced Broadway revival of Miss Saigon has found a home. The production, which—like the original—hails from across the pond, will helicopter in to the Broadway Theatre, where the show made its New York premiere in 1991. The limited engagement will begin on March 1, 2017 and will play through January 14, 2018 before touring the U.S. Opening night is set for March 23. Newcomer Eva Noblezada and Jon Jon Briones will star as Kim—the role that launched Lea Salonga's career—and the Engineer, respectively. They reprise their performances from the West End premiere of the Laurence Connor-helmed production. Additional cast will be announced later. The original production premiered in the West End in 1989; it came to Broadway two years later and ran for nearly ten years. The revival opened at the West End’s Prince Edward Theatre in May 2014 and closed in February. The 25th anniversary gala performance of the revival was filmed in 2014 and will air in select movie theaters across the United States on September 22. In addition to Broadway, the new staging is set to play Japan, German, Australia and Asia. Tours are planned for the U.K., Europe and Middle East. The Broadway Theatre is currently the home of the revival of Fiddler on the Roof; the Bartlett Sher-helmed production will close on December 31. The epic love story returns to Broadway.